It was over a year ago when I offered a prayer and wrote about the silence as it concerns the security situation in the Central African Republic. I can say that there has been some light shone on the trouble and the world is now paying a little attention to this, one of the poorest countries on the continent. World leaders are able to see that the situation of violence in the C.A.R. is an ongoing crisis. Since last year there have been moments of peace and stability, but only moments. In August, violence broke out; then there was a moment of quiet. Taking notice the government of France sent additional troops. Despite the presence of increased foreign military, this fall, more violence has erupted. I still haven’t been able to visit the Central African Republic, but have been right at the border in Garoua Baloui, Cameroon. 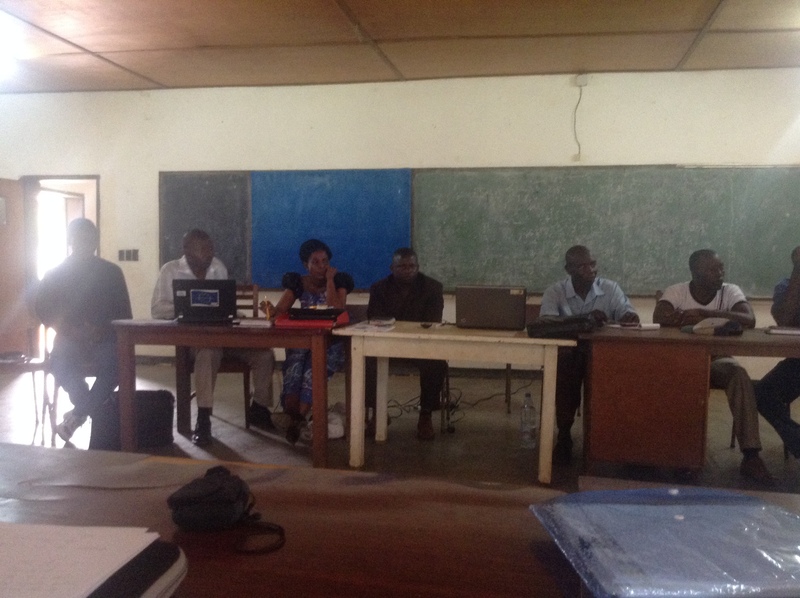 In November, regional representatives from Cameroon, Anne and Willie Langdji, and Dr. Susan Smith who serves as the education specialist for the church in CAR with other partners of the church from Germany and Denmark were able to have a meeting with the leaders of the ELC-RCA. The leaders of the ELC-RCA shared with us stories of the tragedies that they have witnessed. These stories were replete with horror, but tinged with the faith that the storytellers held. We were able to pray for peace and share a Thanksgiving Day meal together. I can only hope that this gave the leaders from the ELC-RCA just a slight respite from the instability they have been living with for over a year. It is hard for many of us who live in countries who have not seen war on our shores to understand how those who live in states of violence and chaos can function. I imagine it would be close to impossible for me to get myself together in such a situation, especially long enough to have a meeting. Yet, they were there sharing with us knowing the situation may not be much different when they return. I saw in these leaders of the church tremendous faith, resilience and strength. I can only hope that our presence gave them comfort to know that their partners stand with them in prayer. I can only wish for such faith, resilience and strength. All I can do is pray and do my job. Sitting on this side of the world it all seems like so little. Yet, as part of my job I have been working with regional representative, diakonia and others in ELCA-Global Mission to see how we can respond to this current emergency. 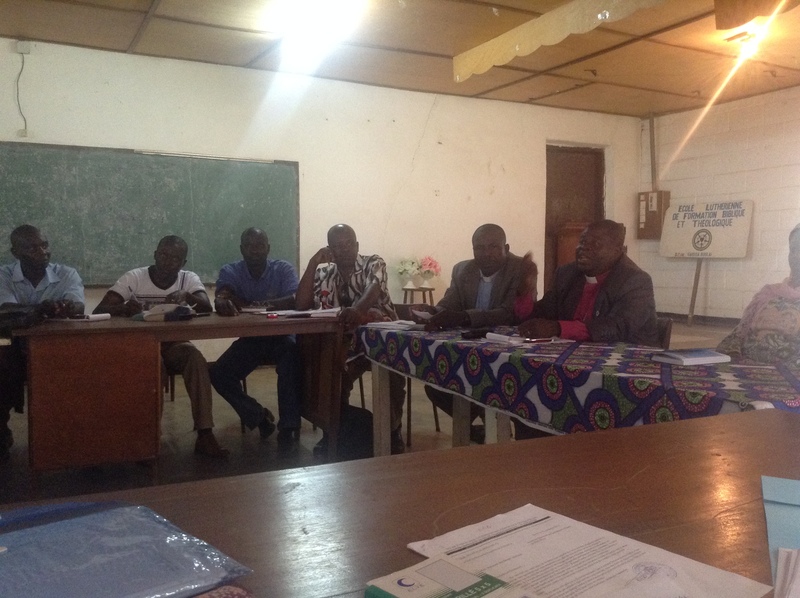 We want to accompany the Evangelical Lutheran Church in the Central African Republic as they help the people of CAR. So many are internally displaced and have lost their homes, communities and livelihoods. What I hope is that you will continue to pray for peace in all parts of the world that are experiencing unrest, and violence. I pray that we can together hold on to faith in the one who promises us light in darkness and hope in hopelessness. I hope God will heed our prayers for our friends in the ELC-RCA and the people of the Central African Republic. As always, I am westafricabound.